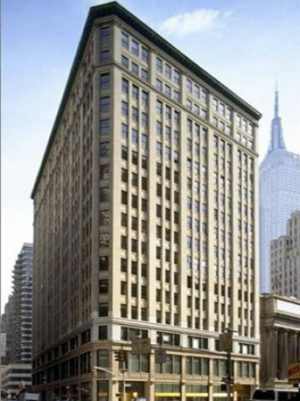 Virtual Office New York Penn Station is situated at the cross roads of midtown Manhattan, just south of Herald Square and north of Time Square, Penn Station lies directly West of the buildings location. Easy to reach via public transportation and only 25 minutes away from La Guardia International Airport this executive office center is best reached over Interstate Road 278 and 495 if you travel by car. All offices suites are fully furnished and technology ready, a full turnkey office solution integrates seamlessly with our shared reception area, conference rooms and virtual assistant services. Whether you want to occupy traditional office space or just need a remote location, Virtual Office New York Penn Station offers you both solutions for very marginal pricing. Virtual Office Services can be easily added on as needed, therefore you are fully in control of your expenses. Start at any level and upgrade or downgrade any time, this allows you out-most flexibility and immediate reduction of overhead cost if necessary. Grow your company while having the benefit of a cost effective office solution, but have the big corporate experience. Getting started is simply done online, add the services you require, establish an account for easy management of your billing and invoices. For more frequent use of private office space or to preview the location, kindly contact us at 1.866.793.7969, we will gladly arrange a tour for you with one of our managers at the premises.